We handle tracts of all sizes including rural property, hunting/fishing properties, farmland, timberland, and industrial property. The real estate market is moving very well, especially in the sales of land and rural property. I specialize in selling land in lower Alabama and Mississippi. My goal is to help you to determine the highest and best use for your property, and market it to those buyers. Placing your property on the market gives you the opportunity to get the best price. Selling land is different than houses or commercial property. You need an agent that has experience in the areas of timber value, recreational use, agricultural value, and potential development. I have the 4wd, utv vehicles, equipment, and knowledge to show larger tracts to property to prospective buyers. 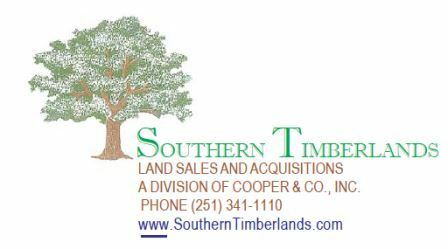 Southern Timberlands is a locally owned company with a long-standing reputation. We market properties using internet, social media, print media, email, and traditional mailings. Our goal is to help you get the best price ! Plus, If you are looking to buy a property for recreation and investment, I can help you find what you are looking for. 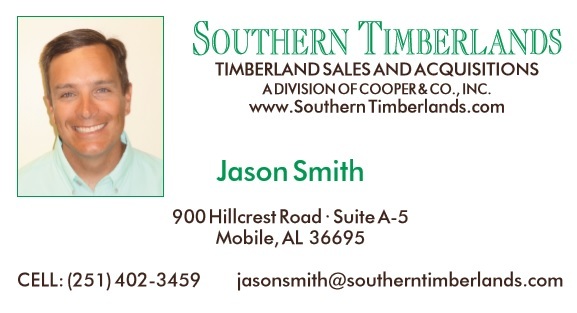 Call or text me at 251-402-3459 or email me at jasonsmith@southerntimberlands.com. Why Invest in Land ? In this fast paced world, many of us return to the outdoors to relax and recharge. We also want to share our passion for hunting, fishing, and outdoor recreation with our family and friends. Land ownership land is a unique opportunity to enjoy an investment now, and establish a legacy for future generations. My passion for the outdoors started at a very young age, fishing and hunting throughout the Deep South. I grew up in a number of places in both Alabama and Mississippi. My parents moved us to Mobile in 1993, I have called the Gulf Coast home ever since. I also have really enjoyed developing friendships and relationships with land owners throughout our area. I have 5 children and live in Mobile. I love to take the kids fishing and spend time with them in the great outdoors.